My grandfather didn’t come to America; America came to him. Like many young Spaniards over the ages, he – along with his brother and two cousins – left Spain. They left their sisters in Northern Spain, arrived in Puerto Rico in the late 19th century, started businesses, married, started families, and thrived. When the Spanish American War ended Spain’s rule over Puerto Rico, my grandfather was a justice of the peace and owned a farm. By the early 1900s, he was an executive with the tobacco company at a time when Puerto Rico was producing around 35 million tons of tobacco a year. He was provided housing and housekeeping staff as part of his compensation, but, as his children grew in size and number, decided to build a house. The two-story house he built in a prime location facing Comerío’s town square was huge. Have you returned to a place as an adult that you remember thinking was big when you were a child, and realizing it was small? The house had the opposite effect: When I visited – after years of absence – it was even larger than I remembered. A separate entrance from the street opened to a concrete staircase of 24 steps reaching the second floor. The second floor was vast, large enough for his eight children. The style was mostly Craftsman-for-the-tropics. Living room, foyer, dining area in the center (with the living room facing the street), bedrooms on each side, kitchen and bathroom in the rear. The interior was wood, the exterior walls were solid concrete so thick that one of my earliest memories is realizing that the window sill was wider than the length of my arm. 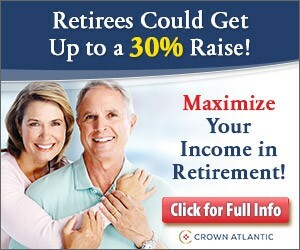 My grandparents died in their late eighties. One of my uncles died in childhood. The remaining ten children (two more children were born in the house) lived even longer than their parents, including one of my aunts who was at least 106, and my mom, the youngest, who passed away last year at the age of 96. Most of my cousins had moved away from Puerto Rico over the years. My mom had moved to Florida prior to inheriting the house from her sisters, and decided to sell it. It took five years to find a buyer, and five more to close. My sister worked hard and long to get that closing, traveling back and forth from Miami to Comerío until it was done. The house was bought by the municipality, and was designated a landmark. By 2014 it was being restored, even in Puerto Rico’s disastrous financial situation. Yesterday I watched Calle de la Cerca’s Facebook video. The house had been painted blue, and I was able to locate it. The roof and all the doors had been blown off. Linked to by Instapundit. Thank you! I mourn for the town, where everyone is affected. Fascinating story. Prayers for Puerto Rico. Thanks for sharing. What an interesting family history!. This morning Orlando’s Channel 9 (ABC) reported there were some doctors and nurses who have gathered up supplies and trying to find a way to get there. Looks like Puerto Rico needs everything and it is going to be a long haul. 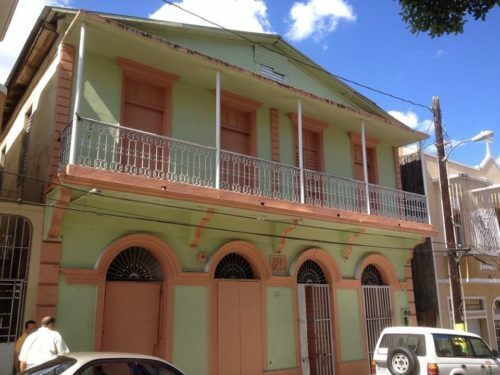 Your family Heritage house in Comerio, Puerto Rico, and its demise broke my heart. It is said that houses are just houses- replaceable, inanimate objects of wood or concrete with doors and windows. But layers of generational stories permeate its walls. I still visit houses that were in my family. My greatgrandmother is still there, my grandpa just got home from work, picked me up and twirled me in a great embrace. Grandma is not sure what will be for dinner, but afterwards she will play some of her favorite Italian records for me as she looks upwards to reminisce. The bus will come for us 6 children at my parents’ house oceanfront, and I will watch in hurricane season how the waves jump and crash upon our street. I’m full of stories all imprinted safely in my mind. Where no hurricane can reach and blow the windows away.